Commencing his dizzying journey at the tender age of 18, Avicii has unquestionably amassed greater success before turning 22 than most could ever hope to achieve in a lifetime. His tracks ‘Bromance’ and ‘Levels’ swept across every club in the world in 2011 taking the self-taught, fresh-faced Swedish luminary to become one of the most in demand acts in electronic music at the moment. This year, Avicii appears at Creamfields as he makes his debut headlining the South Stage, we catch up with him to find out what we can expect from his performance. Creamfields is going to be your first festival date in the UK, are you planning to explore the festival a little while you’re there? I’d love to explore the festival if I get the chance. Creamfields has an amazing reputation and is probably one of the coolest dance festivals in Europe. I'm really looking forward to taking part in it myself for the first time. Have you been to any festivals in the UK before? No, I’ve never played at any UK festivals before so I’m looking forward to checking out how you guys do it. I’ve heard it can get very muddy! What can we expect from your headline performance? As I say, I’ve never played any UK festivals before – I’ve been looking to do it for a while now so I’m super excited to be headlining Creamfields – I’ve heard it’s an incredible festival so I’m going to put absolutely everything into the show and hopefully show you Brits a seriously good time! Also, expect some previously unheard material that I will premiere for you! Have you spoken to any artists about Creamfields who have played there before? Yes of course, I’ve heard nothing but amazing things so I’m very excited! You’re going to be performing alongside a predominantly Swedish roster on the South Stage at Creamfields, what is it about Sweden that allows for such a strong electronic music scene? Your career has catapulted in the last couple of years, have you had guidance from any of your DJ peers? The person who I couldn’t have made it without and who constantly provides me with a lot of direction, guidance and support is my manager, Ash. I definitely wouldn’t be where I am today without him. What inspired you to create the track ‘Levels’? ‘Levels’ actually started out as a remix of another track and was originally meant to have a different vocal line. I heard the track ‘Finally Moving’ by Pretty lights, which used the Etta James vocal and I fell in love with it. I placed the Etta sample on ‘Levels’ instrumental and it just worked so well! Are you a fan of Etta James’ music? Ah I’m such a huge fan – I think she was a truly incredible talent. Voices like hers don’t come around very often. What advice would you give any budding DJ/producers out there? The key is determination. Don’t give up and continue producing, putting your music out there and getting yourself noticed. Producing is really a full time job. Can we expect an artist album from you in the near future? Yes, I definitely intend to put out an artist album in the future, it’s called ‘Battery Packer’. No just kidding, we'll see about an album. Nothing planned yet but I want to. What’s the difference between your Tim Berg track and an Avicii track? Tim Berg is a little more underground. Not super underground, but it's more experimental, I can do exactly what I want with that. Avicii is a little more of my big room melodic sound. 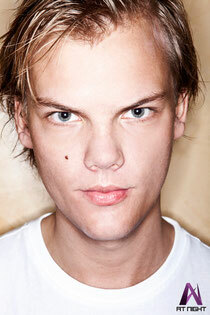 Where does the name Avicii derive from? A friend of mine once told me about the lowest level of Buddhist hell, called 'Avici'. Later on when I tried to register that account on Myspace, that name was taken, so I put an extra 'i' in the end of it. Since then I've really grown attached to the name. You’ve described yourself as stubborn and ambitious in the past; can that make producing music difficult? Ambition is very important in this business, and in any career path you choose. It’s what drives people and without it, achieving success is basically impossible. As for stubborn, I guess it’s not the best quality but it does work in my favour sometimes and gets me my way, I think it is important to stand up for what you believe in. What are your aspirations for this year? And what have been your highlights from this year so far? My biggest highlight was performing alongside Madonna on the Ultra Music Festival main stage back in March – that was one of the highlights of my whole career to date if I’m honest. That and the House for Hunger charity tour my manager Ash and I did in the USA in January. It was so good to give something back to one of the countries that has shown me so much love over the past couple of years. Have you got a five-year plan? Not as such, no. I mean I’m incredibly lucky to do what I love for a living. In terms of future goals, or a five year plan, I just want to keep doing what I’m doing for as long as possible. My manager is the one with the big plan. Hopefully I’ll be doing what I’m doing for longer than five more years! How do you relax when you’re travelling and producing so much? I watch a lot of series and movies and when I'm home I try to hang out as much as I can with my family and friends. Who are your DJ heroes? The guys who really got me into producing house music were Daft Punk, Eric Prydz and Swedish House Mafia. What equipment do you prefer to DJ with? Pioneer CDJ 2000s every time. Have you always been a fan of electronic music? Yes – well, ever since I was a teenager, but not exclusively. I also love ‘60s rock and hip hop. There’s so much amazing music out there and I listen to everything from classic to dub-step. How do you decide on what tracks to play in your sets? Does it depend purely on the crowd or do you have a clear idea of the music you want to play? I tend to play a lot of my own stuff in my sets, whether it’s originals, remixes or special edits that I’ve done. That doesn’t mean it’s not important to feel the vibe of the crowd – you can’t be a good DJ unless you react to the crowd and their response. How do you get in the mood to produce music? I don't know actually, the ideas and melodies just pop up in my head. When I'm on the road I often do rough drafts on the melody with my laptop and when I'm back in the studio I complete them. Out of all the tracks you have made, which is your favourite? That is such a hard question. I love them all in some way to be honest. Is there anywhere in the world you haven’t played yet but would like to? I would really love to play in Japan. I've heard so much about the people and culture there so I would love the opportunity to experience it myself. 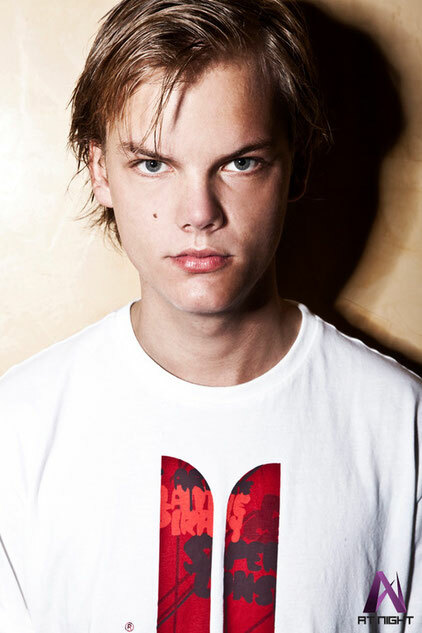 Avicii will be headlining the South Stage at Creamfields on Saturday 25th August bank holiday weekend. Tickets on sale now www.ticketline.co.uk / Tel: 0844 888 4401 / Info: www.creamfields.com. Best be quick though, there are only 2 Day Camping ones left!